Blackland Lakes was established in 1984. It is situated in Wiltshire, in beautiful countryside close to the Marlborough Downs, secure, well away from busy main roads, secluded and generally peaceful. 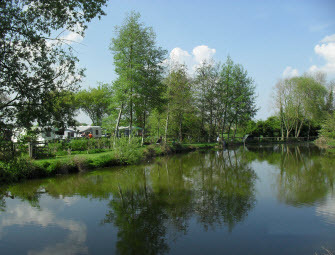 The 15 acres comprises 6 tree lined camping paddocks and three small lakes, two for coarse fishing and one as a nature reserve for wildfowl. 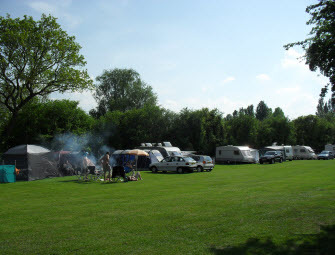 There are 180 pitches for Caravans, Campervans, Motorhomes and Tents, 130 with electricity and 15 hardstanding, fully serviced ' Premium Pitches'. The establishment is graded by the "AA" with 3 pennants. The log-cabin style amenity blocks blend with the natural surroundings and include all the usual facilities, mother and baby as well as disabled and individual cubicles, sinks with plentiful hot water. Please see our facilities page for further details. Blackland Lakes has developed over 30 years. The matured, landscaped grounds provide a pleasant backdrop for a calming and relaxing break. 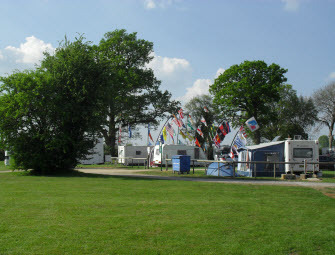 Our park has a unique and informal layout which lends itself to all kinds of camping. We have a mixture of small cosy paddocks and larger open areas so that whether you are with a group, in a big RV or camping alone in a small tent you can find a space that's comfortable for you. The site is well boundaried, secure, and away from busy roads which allows children to play and explore safely. We welcome families. Dogs are also welcome as long as they are well behaved and kept on a lead at all times. Owners must clean up after their dogs. Our attractions page is a hand picked selection of some of the best things Wiltshire and the surrounding area has to offer. 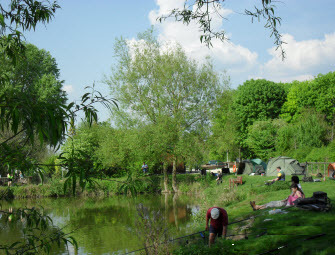 There is plenty to see and do in Wiltshire and Blackland Lakes is right at the heart of it. Wiltshire is a very special part of the world so whether you are planning on staying a weekend, a week or more you'll find a way to make everyday memorable.